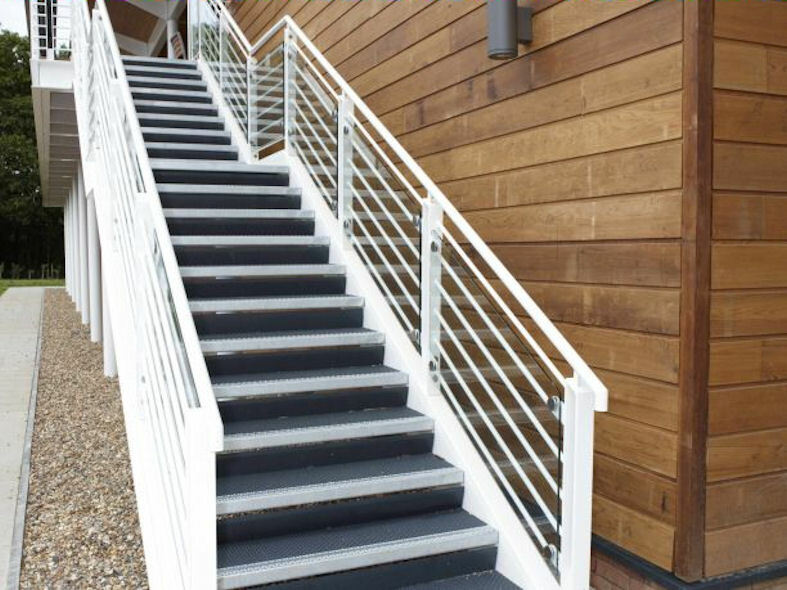 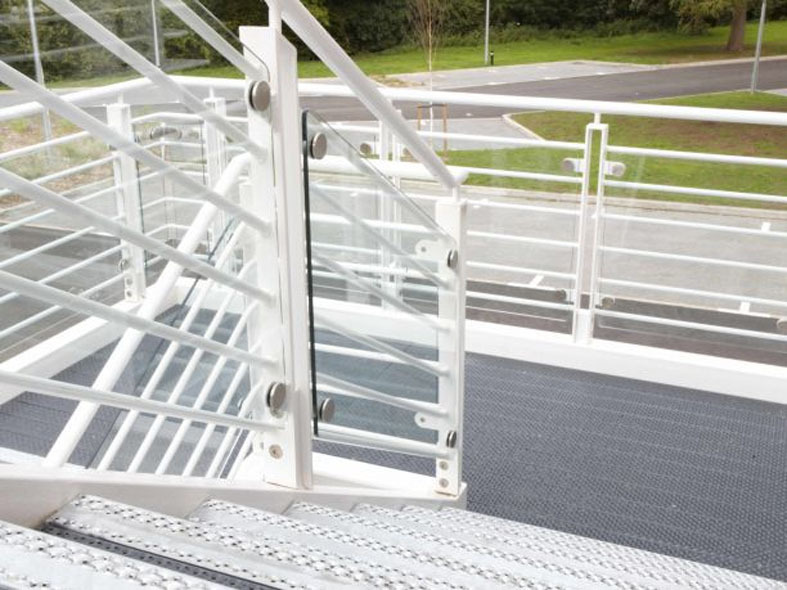 Elefant Grating stair treads are excellent for areas that are prone to heavy foot traffic or exposed to the elements increasing the risk of accidents due to a slippery surface. 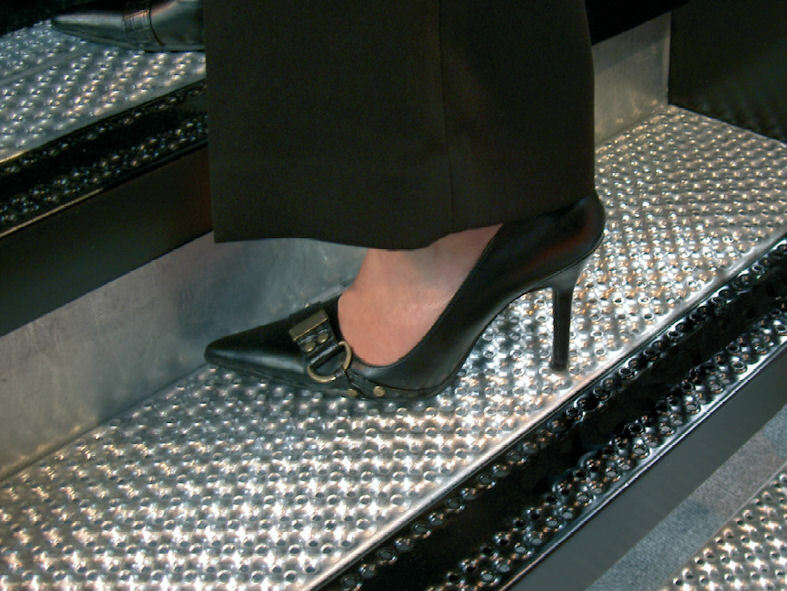 Elefant Gratings type 05™ M stair tread with its 5mm dia punched holes is ideal for high working areas where there is a risk from falling objects or in public areas which require a heel proofing floor. 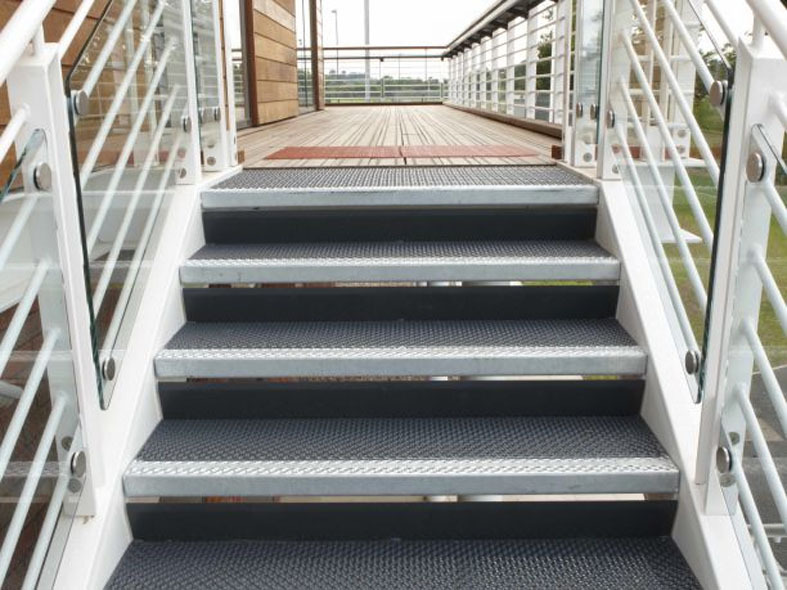 Elefant Gratings type 05™ M R is based on the fabricated 05™ M stair tread. 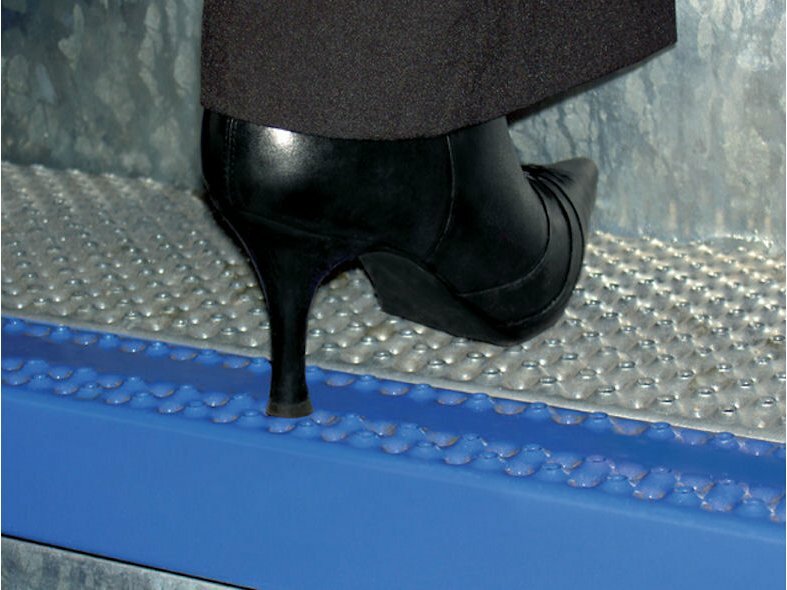 Also ideal for high working platforms and public areas it has a slip resistant surface with maximum 5mm holes allowing for pedestrian access in stiletto heels. 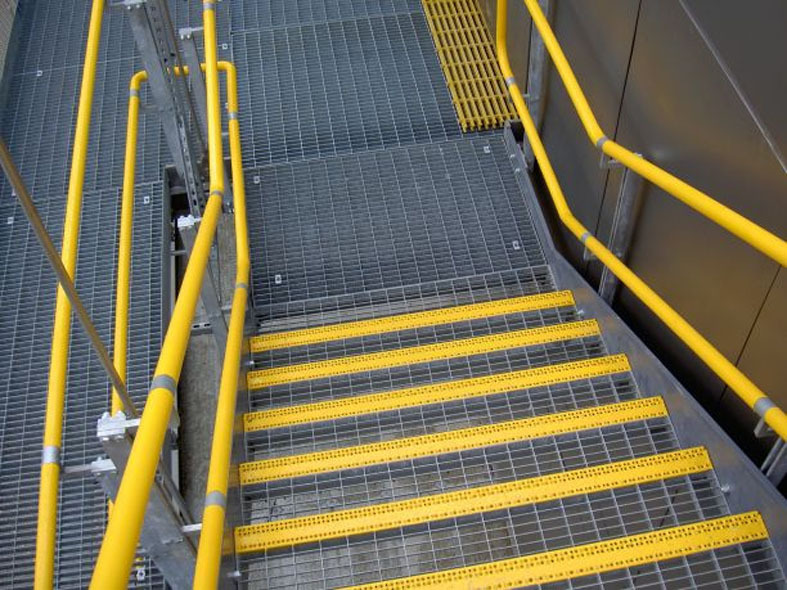 Installation is made even easier wth its removable nosing and can be supplied with or without a rear riser.